Holy collectibles, Batman! 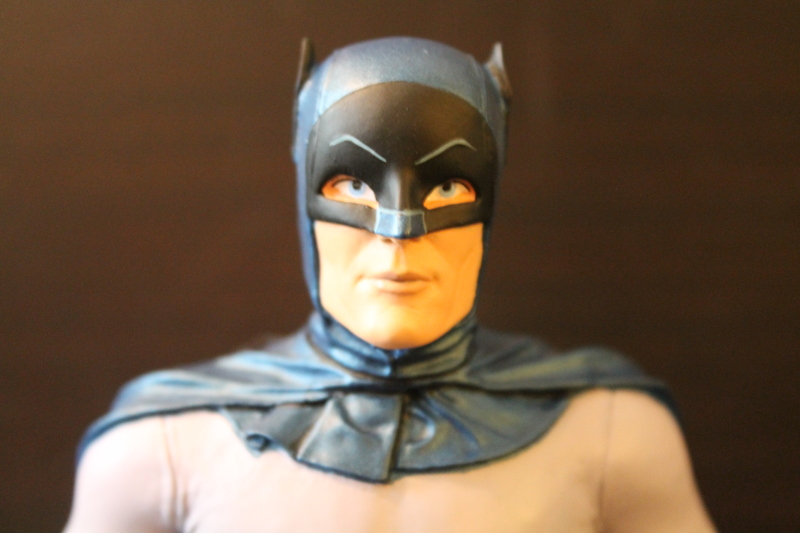 We’ve got the perfect item for collectors and fans of the Classic Batman TV Series of the 1960s– a bust of Adam West as the Caped Crusader himself by Diamond Select Toys! It’s also part of an individually numbered limited edition of 300 pieces, making it an invaluable addition to any collector’s showcase. 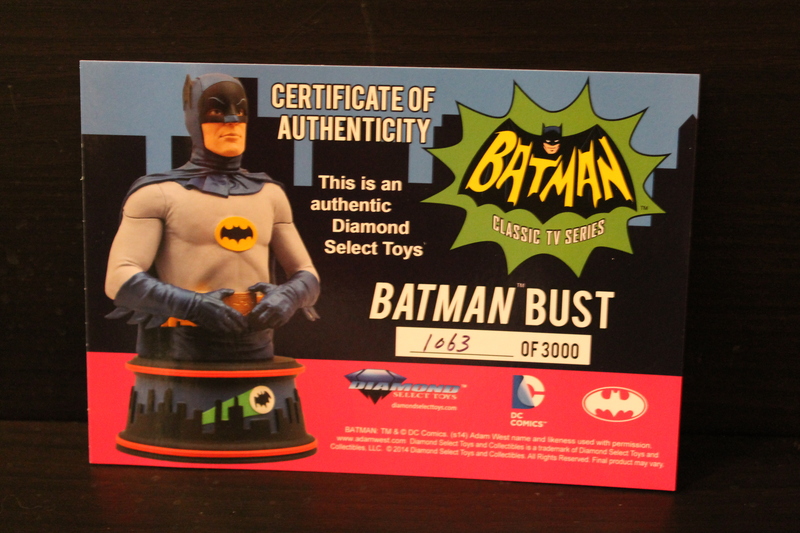 Each bust comes with a numbered Certificate of Authenticity and box, in addition to the number being inscribed on the base of the bust itself. 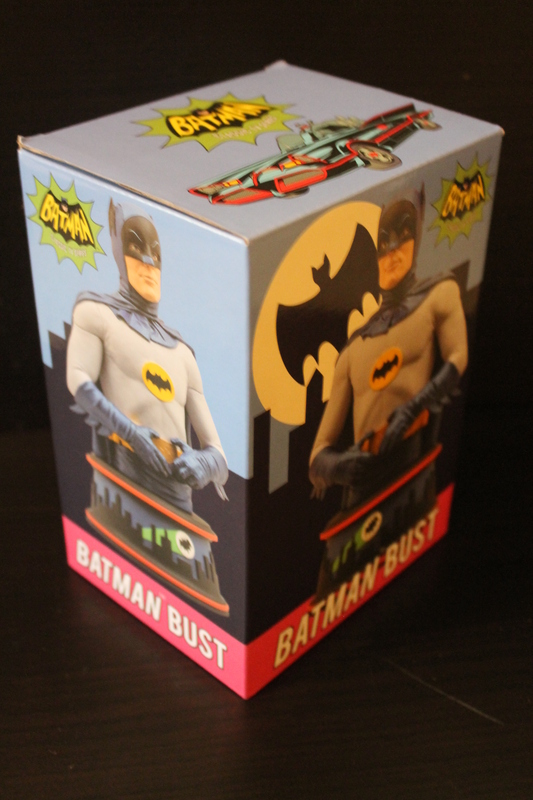 The Batman Classic TV Series Bust featuring Adam West as Batman is one out of a set of three such busts based on the show; you can round out the collection with Burt Ward as Robin and Cesar Romero as the Joker. 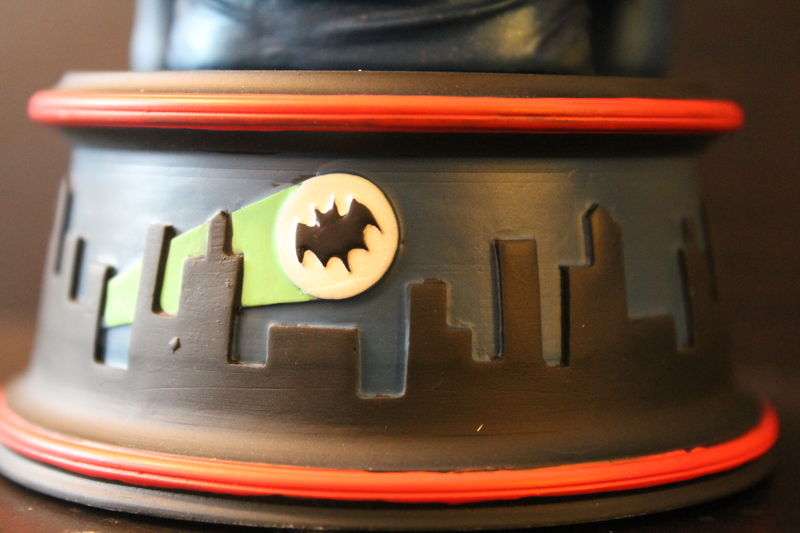 Check out our gallery below for more images of the Batman Bust!